You’ve always envisioned the jewelry piece of your dreams and now it’s time to turn it into a reality. Let our expert staff help you realize the “design of your life”. 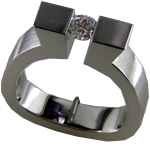 Custom design is an exciting and interesting process that is surprisingly affordable. 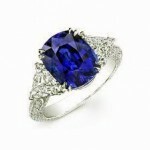 Our staff of highly experienced goldsmiths will assist you in creating a lasting heirloom. The process begins with a concept and design. It can be your idea or our ideas or a combination of both. We will do drawings or a three-dimensional model that will be carved into a wax in the actual size and shape of the finished piece. You’ll be able to see all angles and aspects of the piece before we get the go ahead to hand-fabricate or cast your piece in gold or platinum and set with any stones you choose to make the custom design uniquely yours. 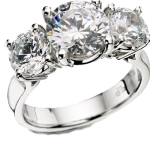 Whether you are looking for a custom engagement ring, wedding band, jewelry or more, Platinum Art is always the right choice… that is why we have been Toronto’s premier custom jewelry designers for over 25 years!